Once again our World Geography and Cultures Food Festivities to wrap up our Immigration and World Geography unit was a smash hit! 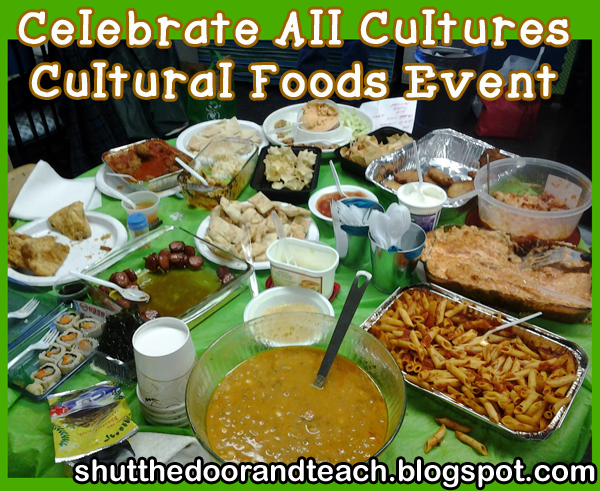 Parents came in to celebrate, and the kids brought in foods from either their own cultural background or one that they admire. After all their hard work learning to read maps, reading and writing about historical waves of immigration, and finishing their tests, it was a perfect way to wrap up. We didn't just eat; we also played games that went along with the world geography theme. Prior to the celebration, the kids each drew at least one country's flag. Then today, kids formed teams to enter our "Name that Flag" competition. 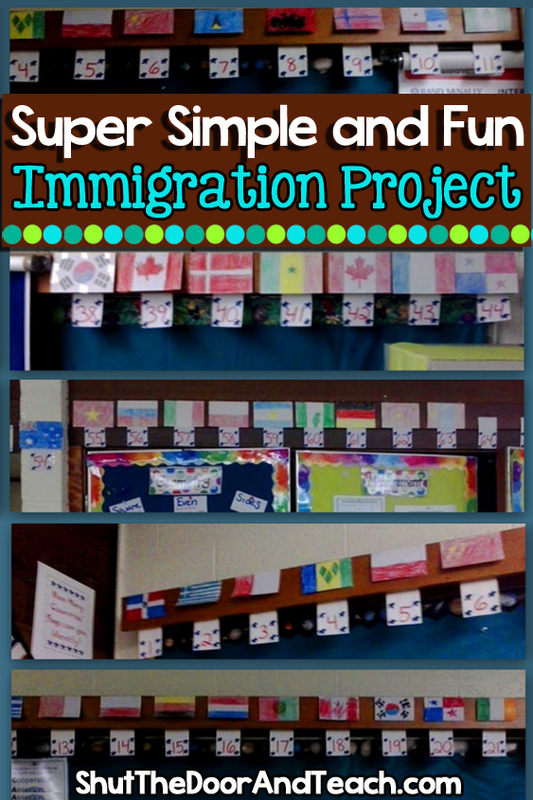 Parents joined in to help out, and had the opportunity to ask their children which flag(s) they drew. And what is a party without music? For our entertainment we used our new computer speakers to enjoy this amazing video to get kids excited about world maps! Even though when I was a kid, I loved watching Yakko of Animaniacs fame sing the countries. However, the above countries video from Marbles the Brain Store sounds a lot more current than the Animaniacs version and the kids were memorized the first time they saw it (and had fun trying to sing along when we replayed it). Do you have any countries videos you use with your class (either YouTube or DVDs)? 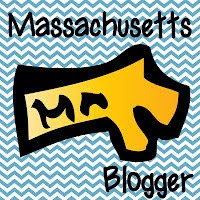 I'm linking up with a bunch of my other teacher blogging buddies through Educents. 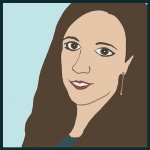 If you'd like to link up your own teaching movie post, head over to Primary Inspired. 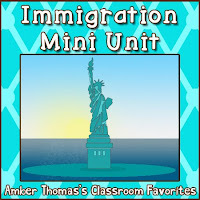 and check out my immigration unit on Teachers Pay Teachers. 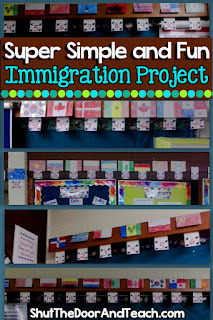 It includes materials for the flag activity, invitations to your own World Geography and Cultures Celebration, and worksheets including maps of travel routes. GREAT videos! I hadn't ever come across those before! Thanks so much for sharing! I also really like your 'Name the Flag' event with the different foods! We did something similar for our last project...we had our own mini Ethnic Expo & each group (there were 8) made foods from their country. 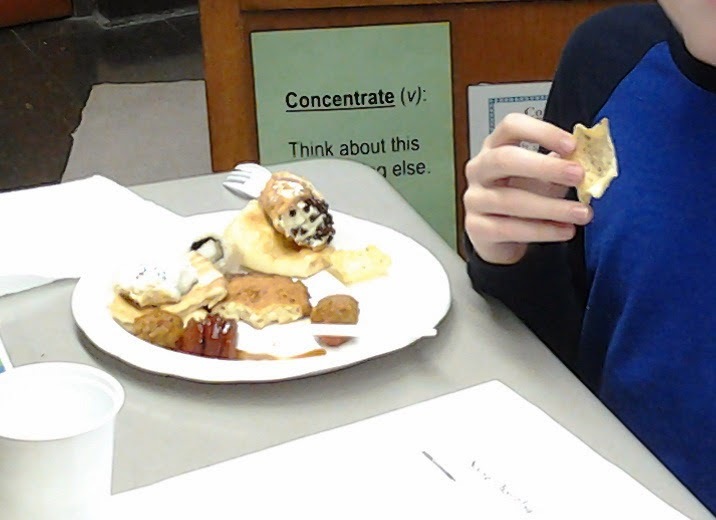 On my side of the room, the group researching England did Fish & Chips, India made Raita (a yummy yogurt dip) & pita chips, Brazil had a cheese bread, & Spain made a Spanish Omelet. They had SO much fun with that project! Thanks for sharing & thanks for linking up! No matter what age, food is just a great way to bring people together. :) Thanks for stopping by!